Mitch was diagnosed with Anorexia Nervosa at age 11. His journey spreads across 14 years, experiencing both Anorexia Nervosa & Bulimia Nervosa. Mitch explains being bullied in primary school about his weight, pre-puberty, was a catalyst for him to make lifestyle changes by exercising and eating ‘healthy’. This soon turned to over exercising and undereating. Mitch initially received family based therapy for treatment as he was a young age. His eating disorder came back in senior schooling years and his recovery journey this time was a lot more independently driven. Mitch has a great understanding of his journey and the behaviours he engaged in, as well as what he thinks may have influenced these. Mitch recently completed his Bachelor of Psychology and is going on to do Honours in 2019. 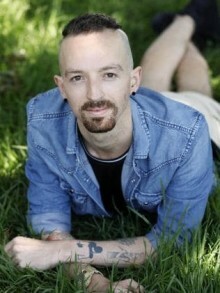 He is a sessional presenter for Butterfly education’s body esteem workshops in schools. As well as being well travelled and a yoga teacher Mitch is an incredible advocate for positive body image and passionate about reducing the stigma associated with eating disorders.